Measures approximately 4 inches. Named for the Stag Head on the top of his Helmet. Part of the World Series of Knights by Papo. The art work and detail are beautiful on this hand painted figure. 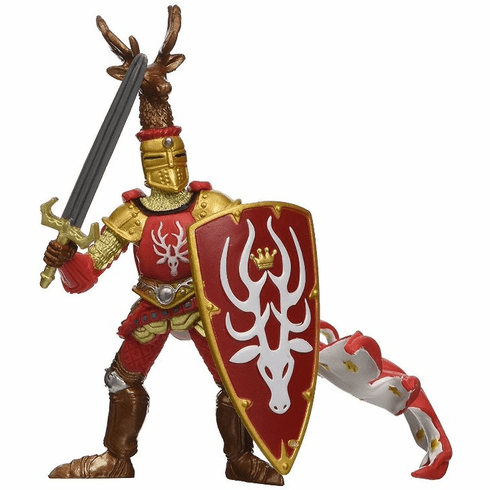 Like most of the Papo figures, the Stag Knight is designed to both stand on his own or to ride a horse.